Wearable devices are evolving quickly and creating unprecedented opportunities for consumers and businesses. to each project we take on. Android wear app and iWatch app development offer businesses unique and mostly untapped opportunities to connect with their customers through this new and better way. The wearable app design and development team at Tekrevol build the feature-rich user interface and a pleasing user experience, using the latest tools and technology to bring your ideas into reality. On a broader level, wearables are the part of the rising Internet of Things, IoT, technology switch that allows connected devices to communicate with each other. Two of the most popular wearables devices are smartwatches and fitness bands, they have created unparalleled experiences and opportunities for both consumers and organizations to improve their bottom line. There are many engaging applications for wearable devices, they have the potential to affect every industry from retail to healthcare and government. Moreover, it is predicted that as technology advances the wearables will become superior communication instruments and may perhaps replace smartphones. With sensors and many smartphone features, smartwatches have become a way to solve problems and deliver benefits that otherwise could not be done. They are the wearable electronic devices that monitor physical fitness and may help you sleep better. They are popularly used around the world. VR/AR sets are a standalone category in themselves. There potential is truly limitless and they can be used in basically every industry. Aesthetic graphics rendering human-like capabilities for entertainment and gaming purposes is where our expertise is set. These can be used as a fashion accessory and may subtly alert the user about calls, texts or email while their phone is out of reach. 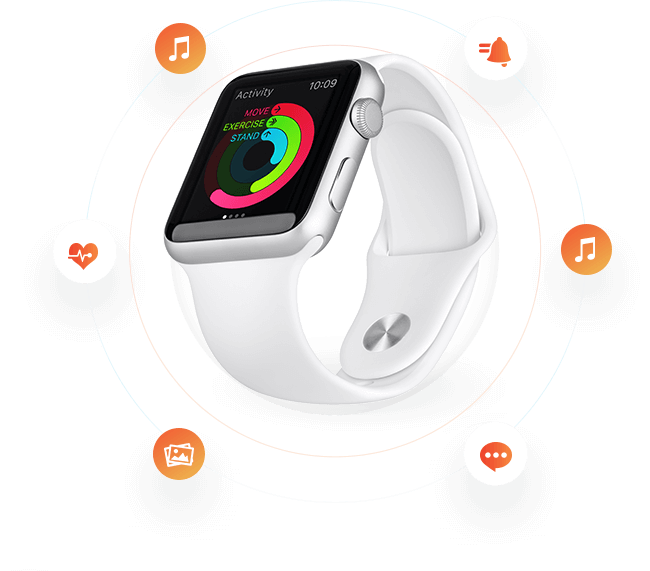 Entering this venture with the wearable app design and development team at Tekrevol means that you have a collaborative and innovative partner who is highly focused to deliver powerful solutions that produce high ROI. By following a seven-step process, we create wearable apps while keeping in mind the individual needs of our client and the expectations of the end users. Our experts help redefine your initial idea to bring your app to life. With research-based user profiles, we create the best app for the targeted users. Conduct research to ensure the new app stands out in the market. Design the app with optimized user interface & user experience. Develop the app with high quality, functionality, and performance. Test, test, and test to ensure the app works perfectly. We launch the app & also perform maintenance & support services. Our team of wearable app designers and developers use the accurate technology for each specific project.